Home News Waste Recycling Rates Improve to Over 80%! 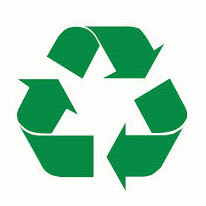 Waste Recycling Rates Improve to Over 80%! Together with our clients, we are now achieving in excess of 80% recycling rates meaning that we are making huge reductions in the amounts of waste that would otherwise go to landfill. We shall continue to explore and implement new and more effective methods of reusing materials and effectively managing the waste stream so that we can continue to improve our performance in this important area.